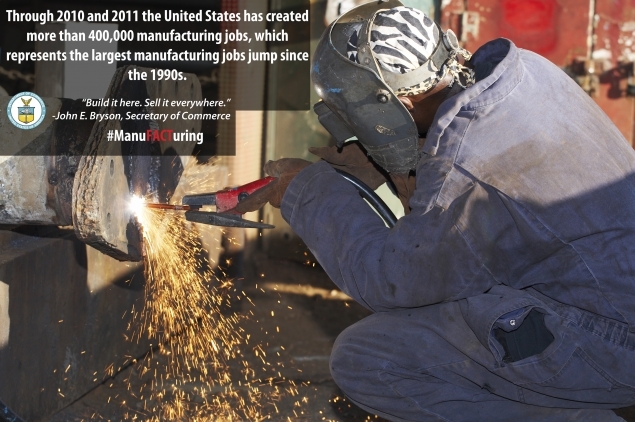 National Network for Manufacturing Innovation: In his fiscal year 2013 budget, President Obama proposed creating the National Network for Manufacturing Innovation (NNMI) to strengthen the foundation of U.S. innovation infrastructure with up to 15 competitively-selected regional hubs of manufacturing excellence. 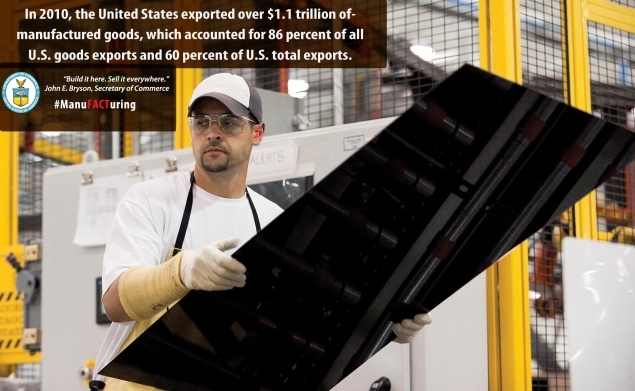 Funded by a one-time $1 billion investment, these regional hubs would bring together industry, universities and community colleges, federal agencies, and state partners to accelerate innovation by investing in industrially-relevant manufacturing technologies. 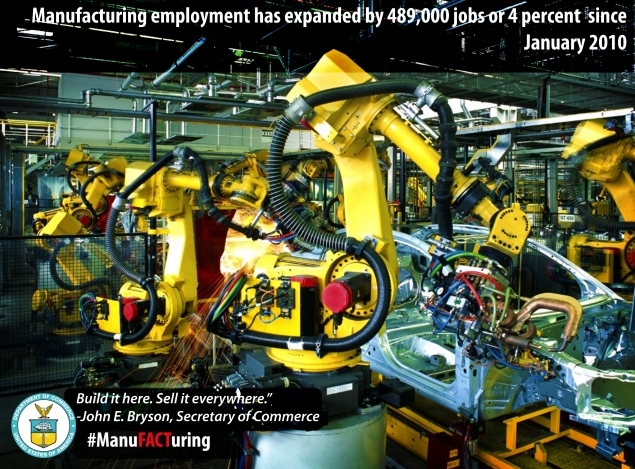 Advanced Manufacturing National Program Office: In December 2011, U.S. Commerce Secretary John Bryson formed the Advanced Manufacturing National Program Office (AMNPO). 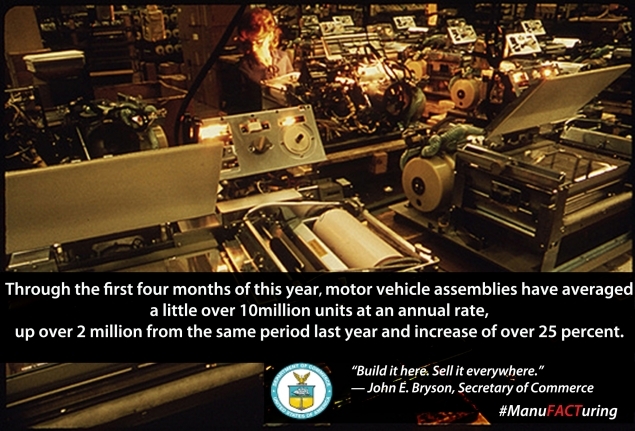 Hosted by the Commerce Department’s National Institute of Standards and Technology (NIST), the AMNPO engages with manufacturing businesses, universities, and other federal agencies to implement an integrated “whole of government” advanced manufacturing initiative. 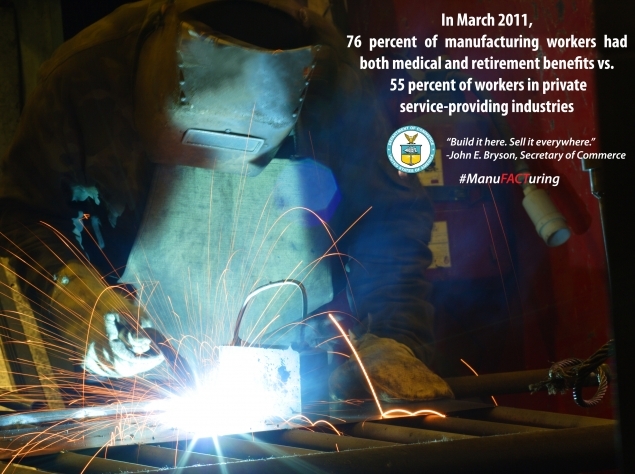 Manufacturing Extension Partnership: Housed in the Commerce Department’s National Institute of Standards and Technology (NIST), the Hollings Manufacturing Extension Partnership (MEP) is a federal-state partnership with a national network of MEP Centers located in all 50 states and Puerto Rico. 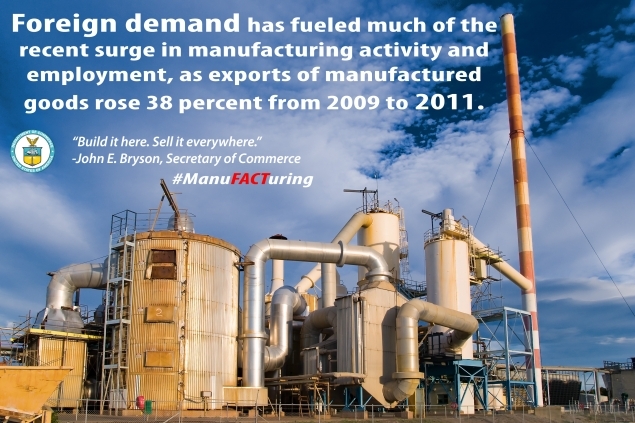 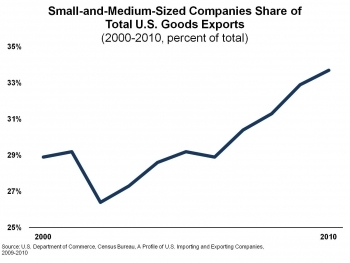 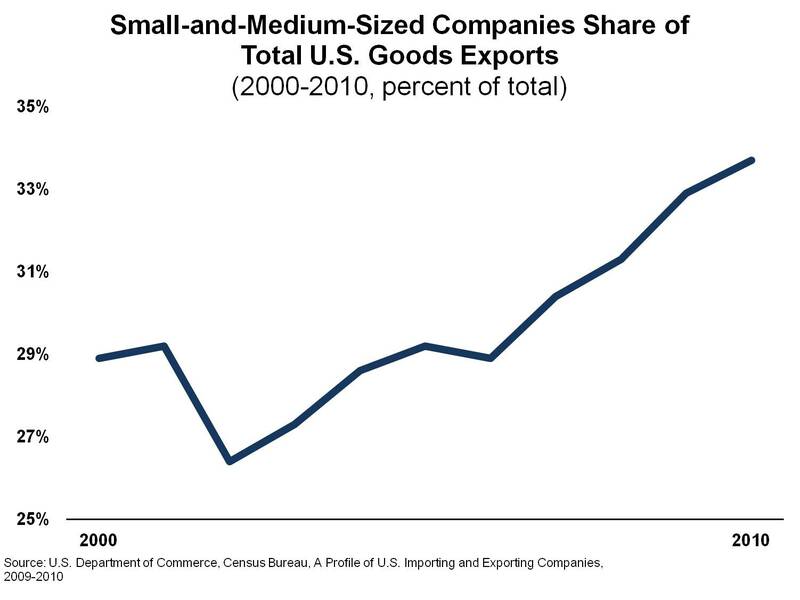 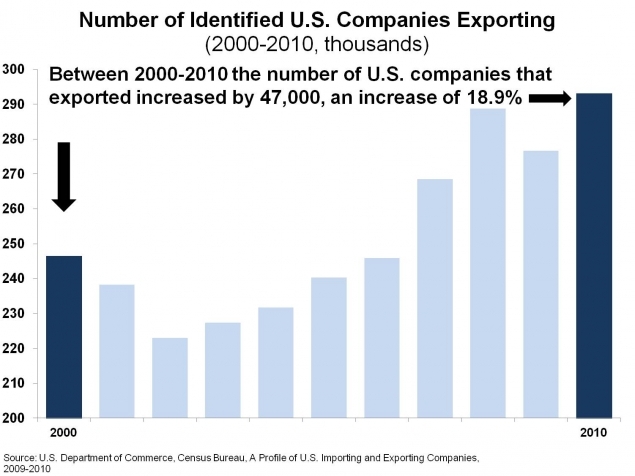 Through these centers, more than 1,400 technical experts help small and medium-sized manufacturers connect to public and private resources essential for increased competitiveness and profitability. 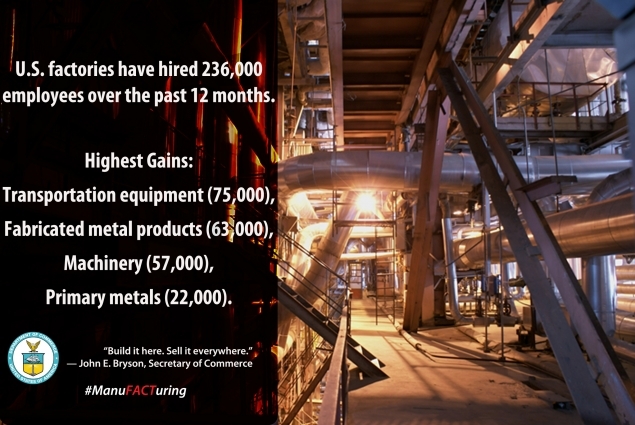 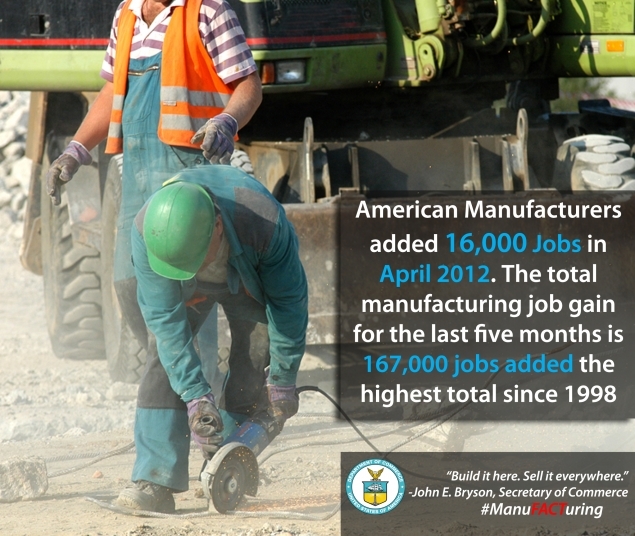 Doms also highlighted some of the key findings in a recent report published by the Commerce Department’s Economics and Statistics Administration: The Benefits of Manufacturing Jobs. 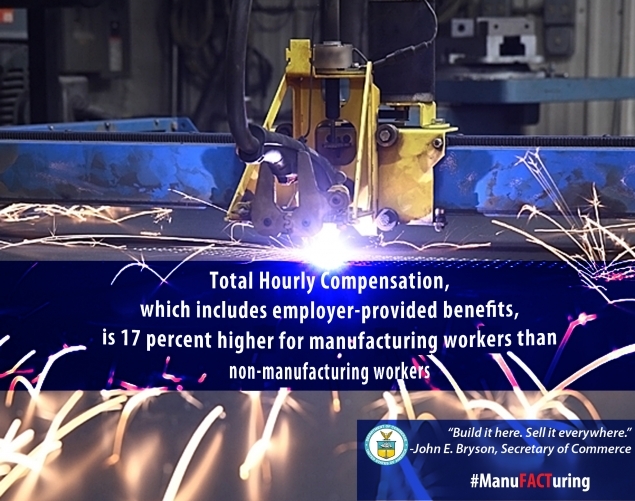 The report finds that wages and salaries were 8 percent higher in manufacturing than in other industries, and benefits were 59 percent higher. 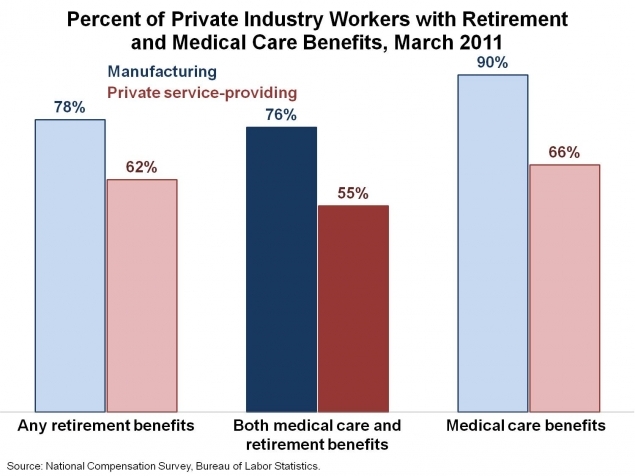 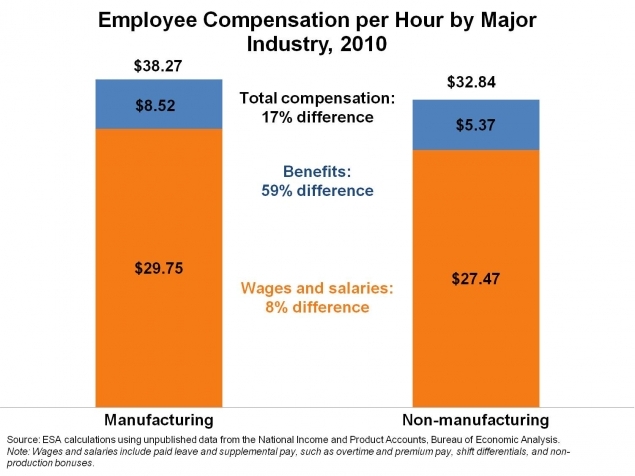 All told, manufacturing enjoys a 17 percent compensation per hour premium over other industries.